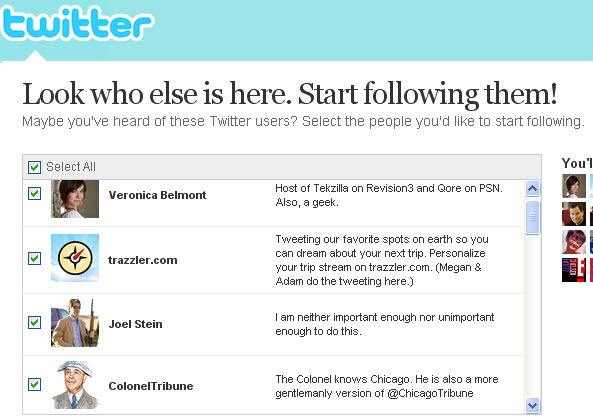 Each new user has a group of 20 Twitter profiles suggested to them; one click of a button and they’re automatically following each one. It’s not the same 20 every time – Twitter randomly shuffles in 20 profiles from the group it has deemed worthy of recommendation. Since new users aren’t always sure exactly how to use Twitter, this starter group can be quite helpful, so the profiles that are featured do end up getting a steady stream of new followers. So the question is, how do you get on the list? I hear this question asked a lot now, with the most common answer being you have to know someone at Twitter. I also hear that Twitter is bombarded with requests to get on the list, so they don’t like people asking anymore. 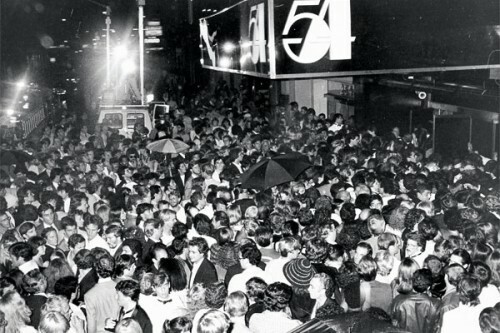 All of this conjures up images of the infamous velvet rope at Studio 54. How cool do you have to be to get recommended by Twitter? It’s also important to emphasize that number of followers is a very weak metric for measuring success on Twitter. It’s understandable that companies focus on this, since it’s an easy figure to monitor. However things like level of engagement, referral traffic and links to content are much more worthwhile barometers of success.